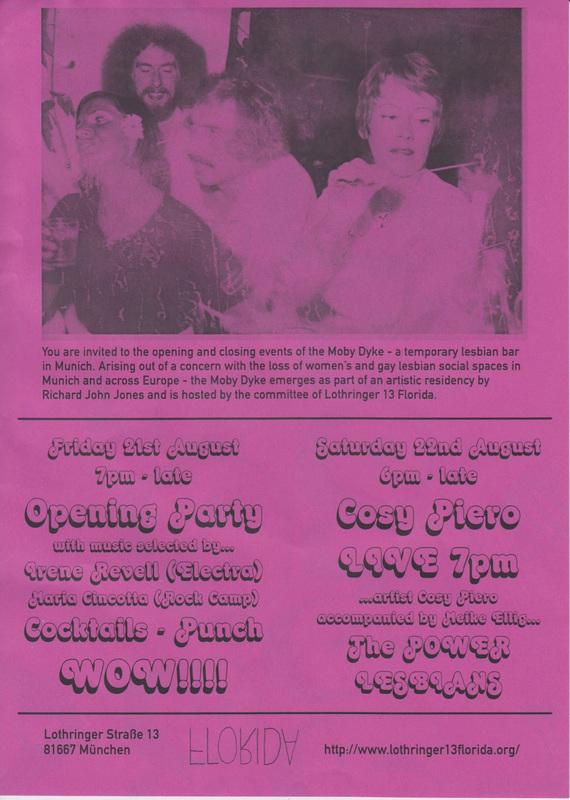 You are invited to the opening and closing events of the Moby Dyke – a temporary lesbian bar in Munich. Arising out of a concern with the loss of women’s and gay lesbian social spaces in Munich and across Europe – the Moby Dyke emerges as part of an artistic residency by Richard John Jones and is hosted by the committee of Lothringer 13 Florida. PLEASE VISIT OUR WEBSITE AT WWW.LOTHRINGER13FLORIDA.ORG FOR UPDATES!!! Hat dies auf Sexualpädagogik in Bayern rebloggt. Vorheriger Beitrag Vorheriger Beitrag: von der GayHistory – zu einer Geschichte der Bisexualität?